How do I Prove my Disability with the Social Security Administration? How to prove disability is a common question for social security and disability attorneys. There are five points that a client can follow to do their very best to prove their disability and medical condition to the Social Security Administration. 1) If you want to prove your disability, it is important to have thorough and accurate medical records depicting your journey through treatment and care. These include records of doctor and hospital visits as well as medications. Many people take this step for granted. However, please make sure you're getting in to see your medical provider for your impairments and symptoms. Disability is determined on the basis of medical records that track your treatment and severity of your symptoms. Disability can also be determined on how often you go to the doctor and what kind of medications you take. Lastly, if you need a specialist, make sure you're seeing one. That too, can make a big difference. Some people cannot afford medical records. If this is you, look for State programs you can apply for or clinics that will treat you on a sliding scale. Additionally, many drug companies offer free medication these days. Talk to your doctor about taking advantage of those offers. 2) Take charge of your own medical records. Do not assume that Social Security or your doctor are going to gather all your records for you. Obtain all office visits, xrays, and MRIs for the time you're claiming disability yourself and make sure Social Security gets them. 3)Obtain a statement, declaration, or as a last resort, DETAILED letter from your provider. You want a declaration detailing the severity of your impairment, your symptoms, why you can't work specific tasks and what those tasks are as well as medications you're taking and how they affect you. This will go a long way with Social Security! 4) Get a statement from people who know you and make sure to fill out all forms COMPLETELY. In addition to the declaration from your doctor, it's a good idea to get a statement from someone else who knows you, whether the person is a co worker, friend, or family member. Make sure the statement includes: how they know you, how often they see you, what they do when they're with you, and limitations they've observed about you when they're with you. This statement will be a nice addition to the many forms you'll be given to fill out. 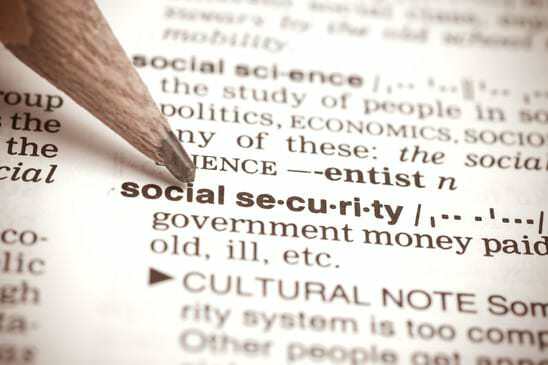 Social Security needs full and complete information to judge your case. 5)Finally, if you go to a hearing, realize you've been denied. In most states in the country, including Washington, it means you've been denied TWICE. If you go to a hearing and you lose, it is near impossible to win a case after that. Therefore, HIRE A LAWYER. A lawyer will give you good advice and preparation and frankly, at this point, you don't want to risk anything. Also, bring a witness to testify before you about your limitations. Following these five steps are the best things you can do to prove your disability to the Social Security Administration.